Dr. Rao worked in the areas of multivariate analysis, estimation theory and differential geometry. 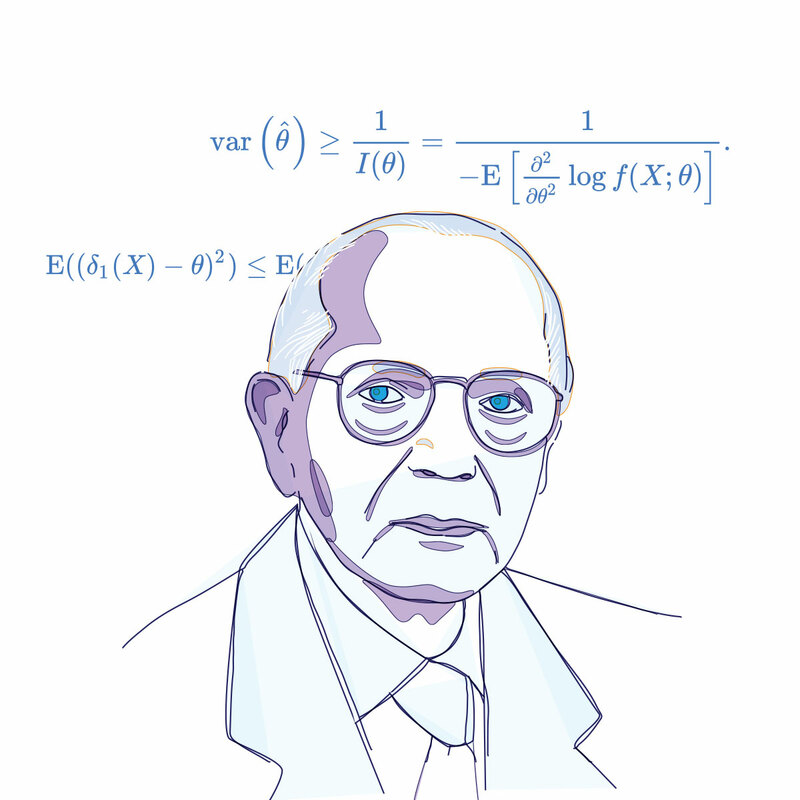 A number of technical terms in statistics — Cramér-Rao inequality or bound (CRB), Rao-Blackwell theorem, Fisher-Rao metric, and Rao distance — are named after him. Orthogonal arrays, useful for design of experiments, are Rao’s important contributions to combinatorial mathematics. Rao score test, developed by Dr. Rao, is an alternative to Pearson’s chi-squared test and Wald’s test. He also introduced the concept of ‘quadratic entropy’ — a diversity measure that can be used to carry out analysis of diversity of any order. Dr. Rao also contributed to the establishment of a number of statistical bureaus across India under the guidance of his mentor, P. C. Mahalanobis, thus establishing in India, one of the best statistical systems. Dr. Rao is a Fellow of the Royal Society. Recognising his contributions to the field of statistics, he has been awarded the Padma Vibhushan in 2001. If there is a problem to be solved, seek statistical advice instead of appointing a committee of experts. Statistics can throw more light than the collective wisdom of the articulate few.